Your student’s transition from high school to college marks a critical milestone along the path to adulthood. Along with a sense of change comes uncertainty, stress and many challenges. 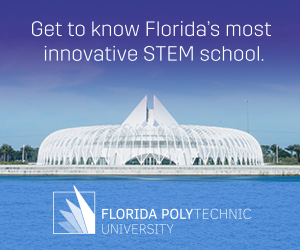 Florida Polytechnic University understands that parents may face emotional, financial and other challenges during this critical time, which is why we have outlined the journey to engineering college below. We hope parents can experience a productive transition and pave the way for their high schooler’s journey. The first weeks of high school can be an adjustment. Keep an open dialogue with your student about the transition, how classes are going and how you can help them achieve academic success. Colleges look at transcripts starting from a student’s freshman year, so it’s important to let your them know that grades are important from here on out. As classes progress, encourage your high school student to get involved in extracurricular activities. This can be a sport, club or organization. The key is to find out what type of activity they enjoy and encourage them to stick to it. Colleges are interested in students deeply involved in one or two organizations rather than being a part of many clubs that do not elicit a strong passion or interest. During the summer, evaluate your student’s first year and develop an improvement plan if they are struggling with their studies. Summer is a great time to encourage your student to start thinking about interests that relate to college and career goals. Encourage your student to take the PSAT/NMSQT, which will prepare them for the college entrance exams next year. It also helps for your high school student to start prep work for this test and determine weak areas. For example, if your student is struggling with advanced math topics, a tutor or website such as Khan Academy, could help. Encourage your student to stay involved outside of the classroom. If they are open to exploring explore other interests, allow them to. For example, students can join a math league such as Mu Alpha Theta, robotics club or the student government association (SGA). As summer approaches, encourage your high school student to find an internship, summer study position, part-time job or volunteer work that is constructive and will align with future career goals. This is the year that the college search and application processes really get under way. The combined junior and senior years will weigh heavily on your student’s transcripts while colleges will look for commitment and accomplishments outside the classroom. Make sure your high school student takes the PSAT in the fall of their junior year, as this is the qualifying test for the National Merit Scholarship Program and offers practice for the SAT. Encourage him or her to attend a college fair or schedule visits to tour college campuses that they are interested in attending. It is suggested to take the SAT or ACT during the spring of your student’s junior year. Make sure they have ample time to study and prepare for the test. In addition, start getting organized by researching and collecting information about potential engineering colleges. During the summer, discuss your student’s senior year and develop a plan to meet the college’s application deadlines. The summer is also a good time to think about potential scholarships and start researching financial aid options. View our STEM scholarship database and financial aid article to find more information on how to fund your college education. Plan a strategy for the school year that includes the application process, which schools your high school student is considering, scholarship options and campus visits. If your student is taking or retaking the SAT or ACT, make sure there is ample time to study and prepare. Go over options for early decision and early action to determine if they are feasible. In addition, help your student prepare college application materials. This includes transcripts, letters of recommendation and essays. Organize a checklist of colleges and application dates. Start coordinating with your student on when to apply for financial aid. Remember parent deadlines, which include filing your income taxes and completing the FAFSA form. After your student has applied, be supportive while waiting for news. 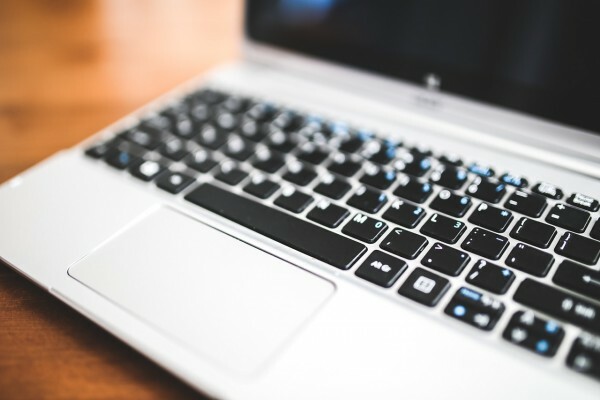 Help your high school student keep track of contacts to make (with admissions staff, for example), which schools have accepted or rejected their application and if there are any additional materials that need to be sent in. If your student is accepted to a top college, that is great news! The financial aid package and scholarships most often determine whether they will be able to attend, so be sure there are options B, C and D in terms of college alternatives. Follow the post-application tips to make sure there is a smooth transition into the first year in college. Your high school student’s transition to college is a critical step into his or her future. Parents are equally as involved in the transition, and parents can use this page as a helpful tool when helping their students prepare for and apply to potential colleges.